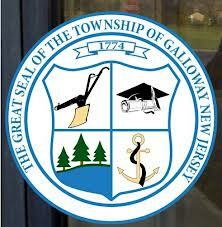 Galloway Township hired a new Controller on July 8, 2013 with a yearly salary of $79,000. Christian R. Johansen, who is the former Chief Financial Officer for the City of Brigantine is now the Township's newest employee. Johansen also previously served as the treasurer for Republican Councilman Tom Bassford in his re-election campaign from 2009 - 2011. According to Johansen's personnel action form, he is replacing the former controller who earned a salary of $82,000. Johansen will make $3,000 less. The former controller Al Stanley was also the Tax Collector. Galloway has been utilizing Egg Harbor Township's Tax Collector Sharon Riley to fill the void of that position since Stanley resigned in 2012. Riley still is working part-time for Galloway Township as the Tax Collector. Johansen was employed with the City of Brigantine from 2004 to 2013, resigning on June 21, 2013. Johansen resigned from Brigantine while earning a yearly salary of $79,850. Johansen is not only Certified to be a CFO but he is also a Certified Public Accountant. Galloway Township's Current CFO Marilyn Dolcy also possess both CFO and CPA Licenses. On July 10, 2012, according to Township Council Meeting Minutes, Councilman Jim McElwee, who was not on Council at the time, ask the Township Manager to save money by looking at other options before hiring a replacement Tax Collector at such a high salary. Liston replied as recorded in the minutes, "One person that we have is deputy and does not want to assume the position and the other person is a the CFO. In light of the budget we could save, not the entire salary but some portion of it possibly." According to the Job Description for Controller, it is a requirement for the Controller that they must pursue the Tax Collector Certification from the State of New Jersey. Johansen's salary without the certification is already comparable to Stanley's old salary as he served as Tax Collector and Controller in a duel capacity. The Township's previous union contract, IBEW Local 210 Supervisors Unit, of which this position was part of, the Category starting salary is listed as $60,000 for Tax Collector / Comptroller. Johansen is coming in $19,000 above the starting salary without the Tax Collector certification. The Township has switched to a new union under Government Workers Union. Johansen was also a member of the Galloway Township Republican League, and according to former GTRL members, Johansen also served as the Club's Treasurer. 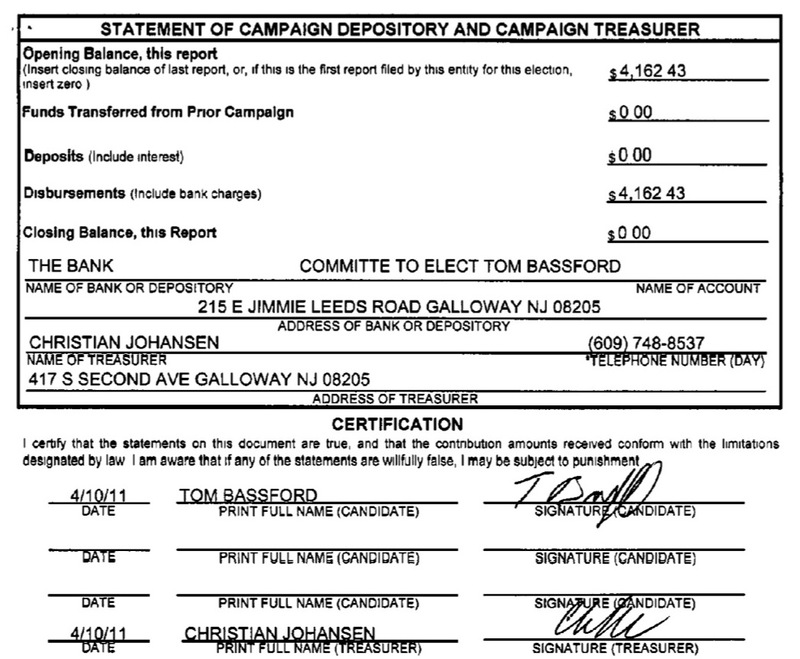 According to New Jersey Election Law Enforcement Commission, Johansen also served as Treasurer for the Re-Election Campaign of Councilman Thomas Bassford in 2009 - 2011. Bassford was re-elected along side Dennis Kleiner, Mayor Don Purdy and Whitney Ullman. Johansen was a personnel hiring by Township Manager Arch Liston and not an appointed hiring by the Governing Body. 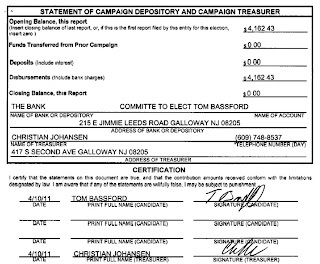 If Johansen obtains the certification as a Tax collector and Council wishes to appoint Johansen, pursuant to NJ State Law, a vote by the Governing Body must be made. Again this website reports the news and puts all the documents up there. This is another example of the republican's paying back a favor and giving their buddy a job. Should have stayed in Brigantine. Democrats get control, you really think they will appoint him? Why doesn't your headline read former CFO from Brigantine instead of former treas. of Galloawy Repub. Club. Thats what a real publisher would have done. Just wondering !!!! Will this change the elections? Your worried about the heading? Who are you a Pulitzer Prize winner? Who cares what the headline is. This is good ole boys club hiring a republican favorite before they get voted out of office. Do you think the Dems would do that? Not quite. Who put the publisher in office when they worked for the township? The former Mayor ??? Oh no the Dems would never do that. You must be a comedian or new to Galloway. The Dems would never do that!!! Best joke so far this year !!!!!!! Your post makes no sense. Who put who in office? Your obviously addicted to punctuation marks. You ask who put the Publisher in office when they worked for the Township and then insinuate it was the Dems. I believe the Republican's under the Tom Bassford as the Mayor put the Publisher in office. Maybe the Publisher can clarify that herself. That is why I said your post made no sense, you obviously have no idea what your talking about. Good try though. Valiant effort.